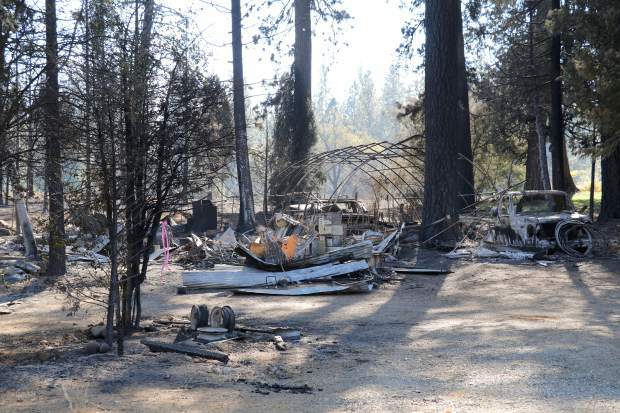 Ashes and twisted metal are all that remain of this home along McCourtney Road in Grass Valley where the flames from the McCourtney Fire scorched 76 acres. 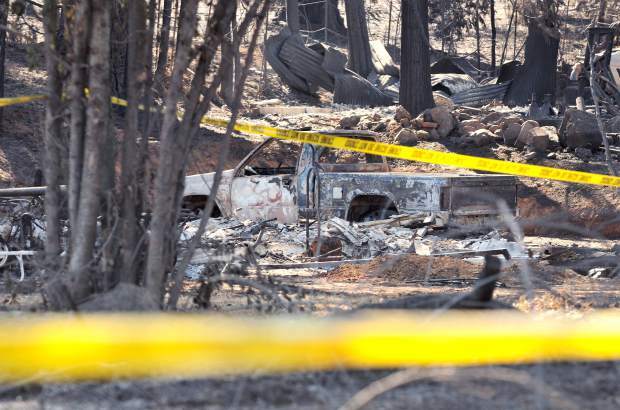 The fire was 100 percent contained by Saturday,, nearly a week after the fire broke out during an extreme windstorm that ignited more than 20 wildfires across the state. Remnants of property sit charred off of McCourtney Road a little more than a week after the McCourtney Fire scorched 76 acres. 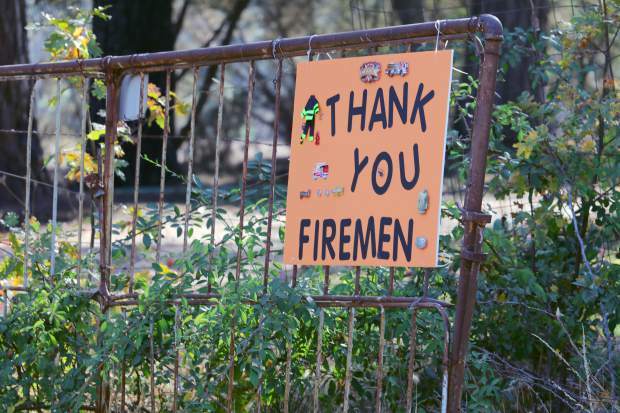 The McCourtney Fire was 100 percent contained on Saturday October 14. 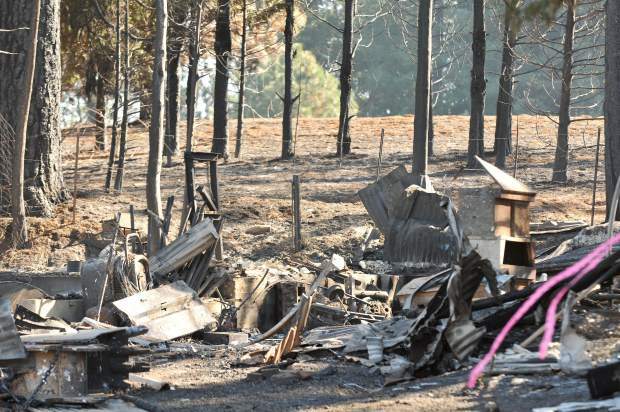 Twisted metal and torched trees are visible from the road along McCourtney Road following the destruction of the McCourtney Fire. A rock foundation is all that remains of a home on McCourtney Road while the home in the background received some fire damage but will still be inhabitable. A metal water tank is all that remains from this structure off of McCourtney Road following the McCourtney Fire. 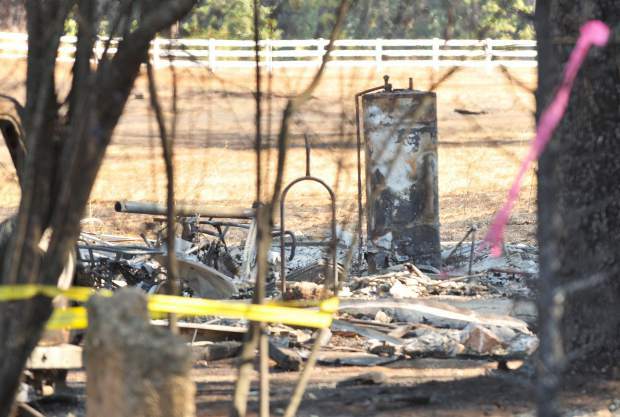 Crime scene tape surrounds the charred remnants of a property along McCourtney Road after the McCourtney Fire swept through here late Saturday October 7th. 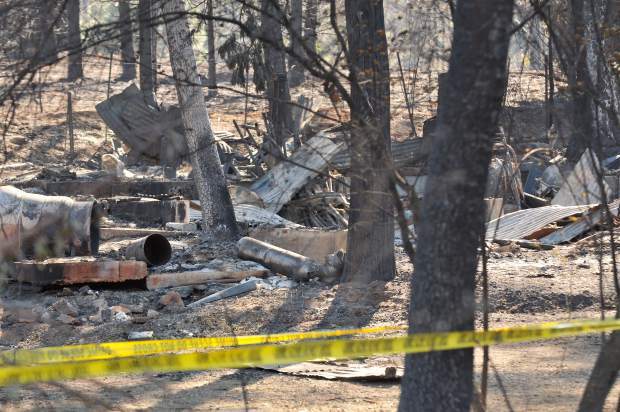 The fire was 100 percent contained within a week. The charred skeletons of vehicles on this McCourtney Road property are the only way to identify where a home once stood. The remnants of a home sit behind a no trespassing sign on McCourtney Road after the McCourtney Fire swept through the area more than a week ago causing significant structure loss. The bad news about his home insurance came a day before George Fitz planned to sign the paperwork for his new house. Fitz, moving here from Santa Monica, intended to sign the papers this past Friday and close on the Union Hill-area home the following Monday. “She said, ‘I really hate to tell you. I hate to make this call,’” Fitz said. The home insurance policy Fitz planned to buy was in limbo because of the Lobo and McCourtney fires that erupted late Oct. 8. An insurance moratorium was in place across Nevada County. The $1,237 policy, with a $1,000 deductible, was no longer an option, Fitz said. He spent the next day calling as many insurance agents as he could. Fitz’ home was financed through his Santa Monica house, which he said is the equivalent of closing on his new home with cash. He could have bought his new home without insurance. “Which seems sketchy, as there’s two fires going on up there,” he added. 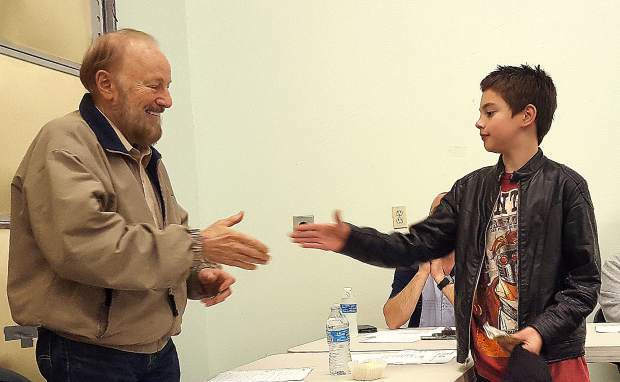 Fitz opted for the California FAIR Plan — an insurance pool that provides basic insurance to those who can’t get a policy through the insurance market. That plan cost $1,911, and only covered fire. An additional policy for personal property and liability cost another $997, for a total insurance cost of $2,908 — over two times the initial price. 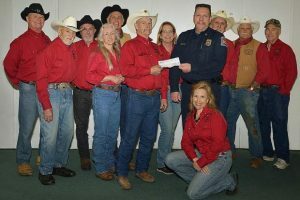 Richard Harris had a few people contact his Grass Valley insurance company with questions about their policies as the Lobo and McCourtney fires burned. According to Harris, those who own their homes and had insurance faced little problems, at least initially. Those who had no insurance and wanted to buy it during the fires, or those in Fitz’s situation, didn’t fare as well. An insurance moratorium, enacted during the blazes, meant insurance companies would write no new policies during the fires, Harris said. “Everything’s a go and then a fire happens,” Harris said. 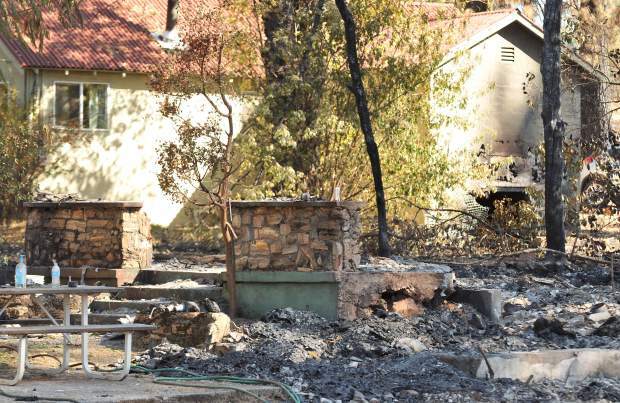 Larry Ingersoll, manager of Placer Title Company, said he also saw effects from the fires. A few people discovered that a lender would no longer provide a home loan until the fires were extinguished and an inspector had visited the site. “Sometimes that does delay escrow,” he said, adding that the situation is slowly returning to normal. Fitz didn’t face that problem, as his Southern California home financed his new house. However, he opted for insurance and found himself at what at the time was his only resort — the California FAIR Plan. 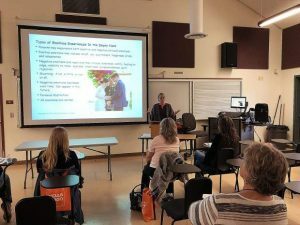 Teresa Dietrich, who in January will become president of the Nevada County Association of Realtors, said she’s seen a number of people use the plan, including herself at one point. Dietrich said home insurance prices can change for a new homeowner after the first year. Some people will find they can secure a better rate their second year. Fitz found that he could get a better rate once the moratorium was lifted. On Wednesday Fitz discussed a one-year policy that covers everything for $1,747, with a $1,000 deductible. He’ll cancel his other policies, get that money back and end up paying about $500 more than the initial insurance plan. “I just immediately jumped on it since I was happy to get a good policy for less than the Fair Plan thing,” Fitz said in an email. 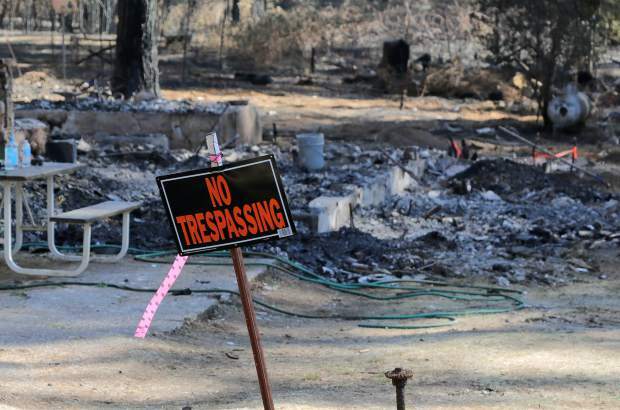 The fires destroyed 22 homes in Nevada County, with an unknown number of structures damaged. 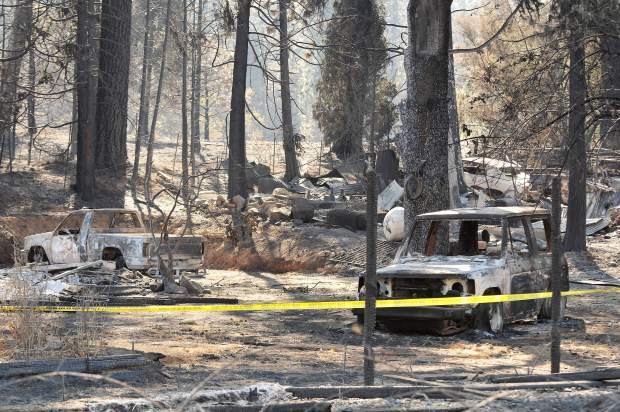 The destruction has led about 40 people — homeowners, renters and their family — to approach Nevada County officials and seek help in the wake of the fires, said Mali Dyck, interim deputy CEO, in an email. The state Department of Toxic Substances Control today will begin evaluating properties in the county as it works to safely dispose of hazardous materials before the larger clean-up effort starts, she added. 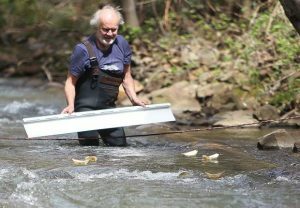 Homeowners who want assistance from the county and state in cleaning their properties should contact the county’s Environmental Health Department at 530-265-1222 and complete a “right of entry” form to allow workers to enter, Dyck said. 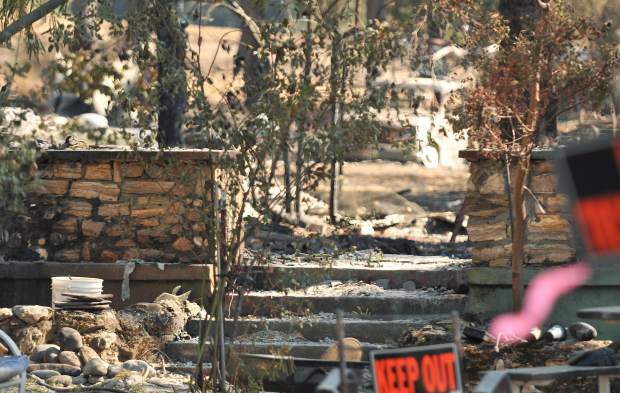 The fires that raged across Northern California this month likely will lead to discussion among legislators next year. State Sen. Ted Gaines said he expects the Legislature to scrutinize all aspects of the fires, including insurance, when it reconvenes. “I think it’s going to be interesting to see what happens in the next session,” he added.